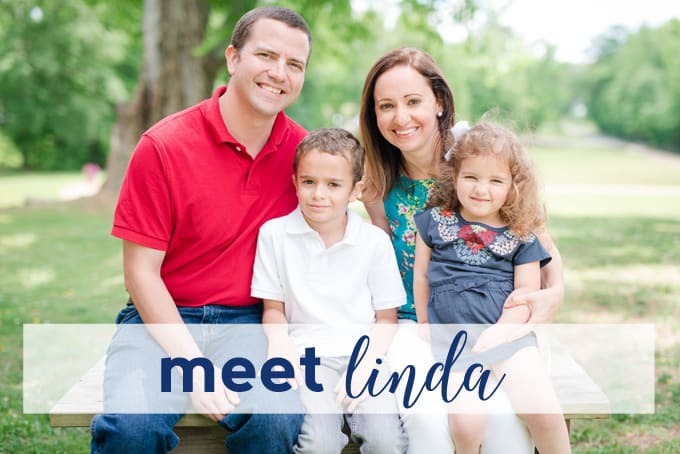 For me, typical mornings are full of packing lunches, making breakfasts, and double checking that my kids have everything they need to start the day. 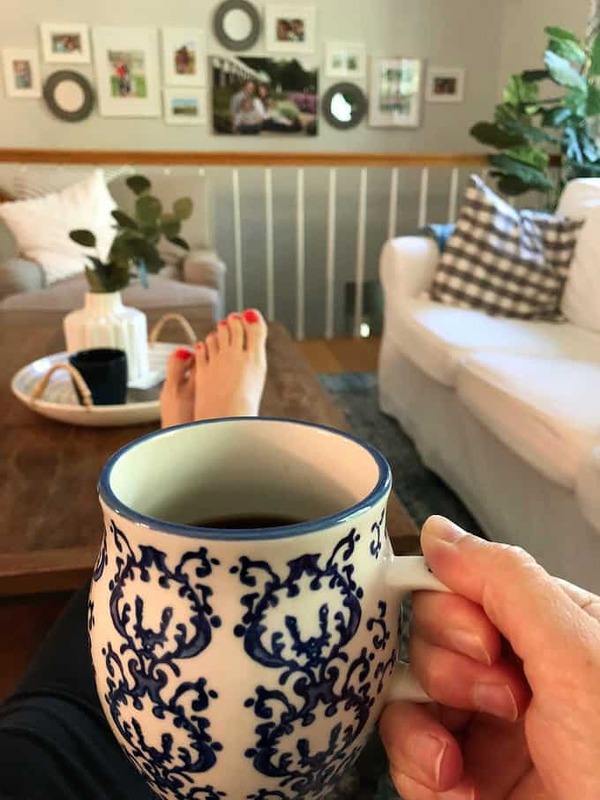 The BEST mornings are when I am able to get up half an hour before the kids and enjoy some quiet (and, of course, coffee) before the hustle begins. Whether I write in a journal, read, or just reflect on the day ahead, this quiet time with just me and my coffee is a great way to start the busy day. 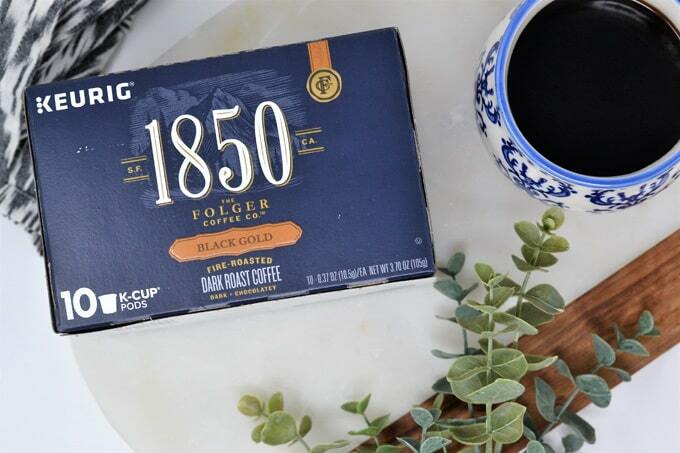 1850™ Brand coffee, made by Folgers, comes in four signature, fire-roasted blends to bring out the rich taste and aroma. The beans are evenly roasted for consistent coffee flavor that is bold, smooth, and never bitter. If you didn’t know already, Folgers was founded during the California Gold Rush of 1850, and are committed to creating great coffee that can help inspire the dreams and ambitions of yesterday’s and today’s trailblazers. I’ve been enjoying the 1850™ Black Gold Dark Roast Coffee each morning, and it’s become the go-to for me to get my day off to the right start. 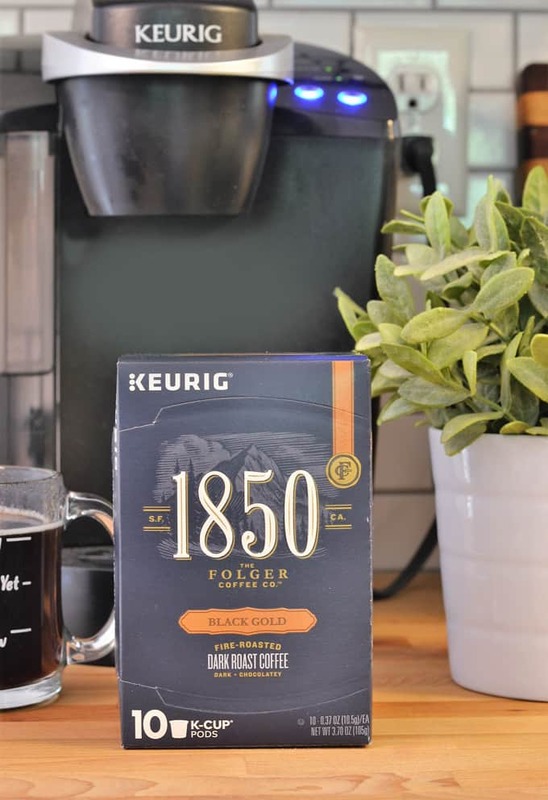 Go here to learn more about 1850™ Brand coffee! In my kitchen, I have a small counter set aside for my Keurig, my 1850™ Brand coffee, favorite mugs, a plant, and even a small piece of coffee-inspired art. It’s a fun little corner that makes me smile each time I look at it. 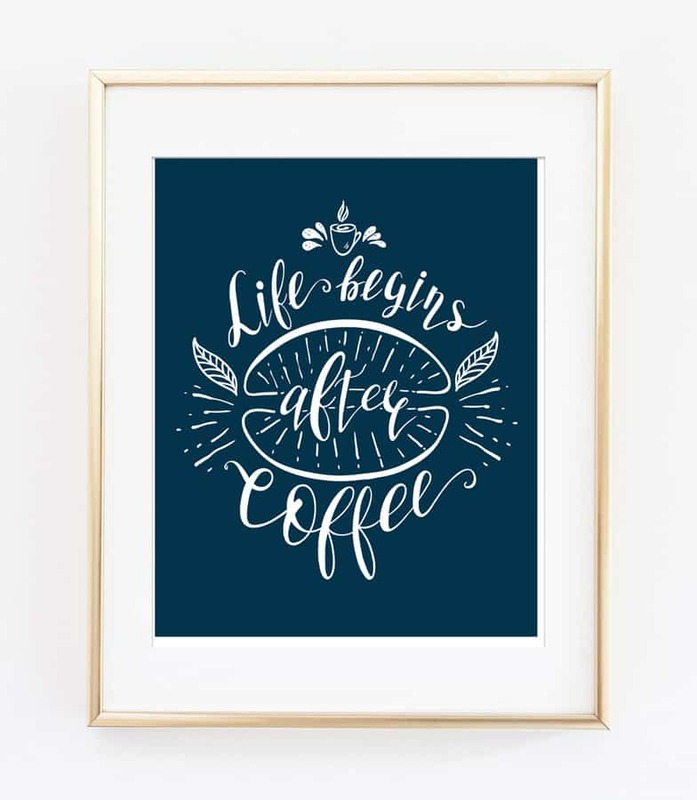 I created some free coffee art for you to download and print to display on your own coffee bar or in your kitchen or dining room! 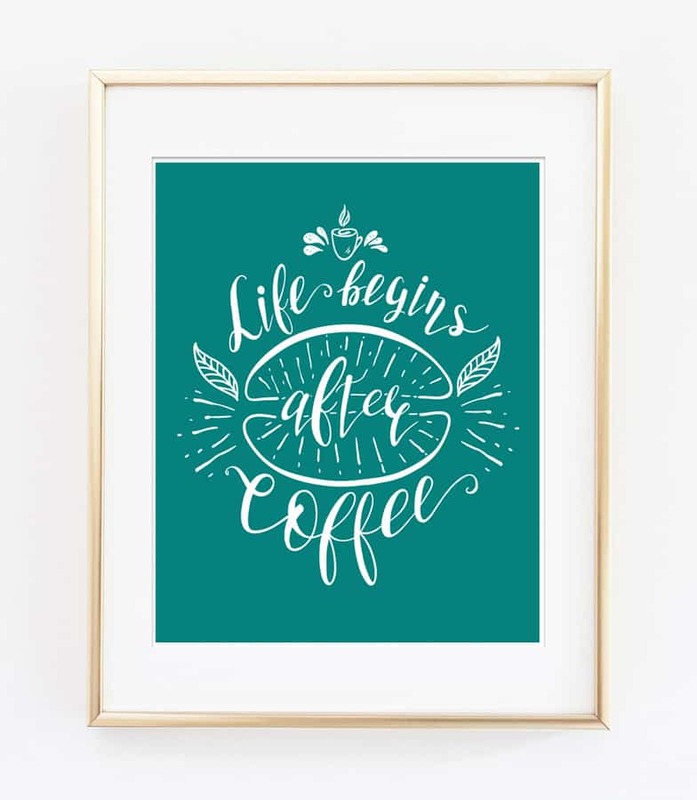 Just choose the color you’d like, download, print (these images print best at 8×10), and frame for easy and inexpensive coffee decor! 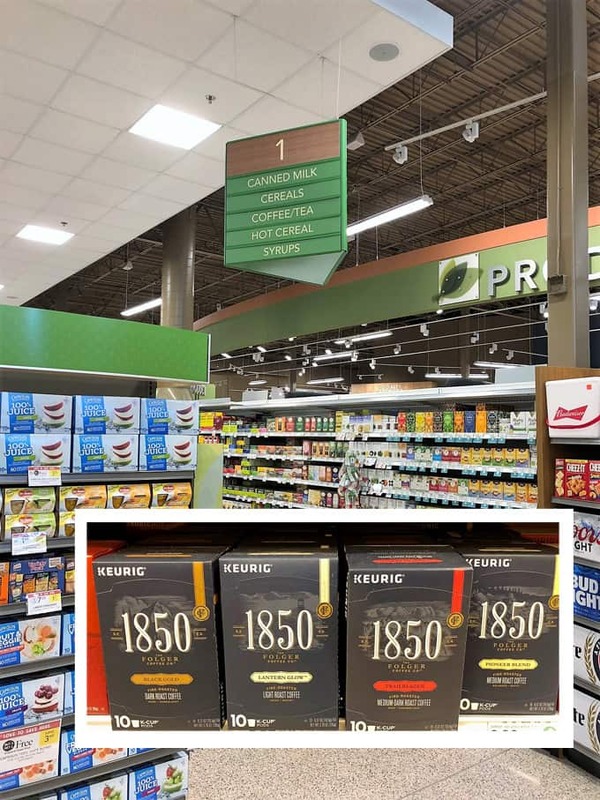 As I mentioned earlier, I found my 1850™ Brand coffee at Publix, in the coffee/tea aisle! 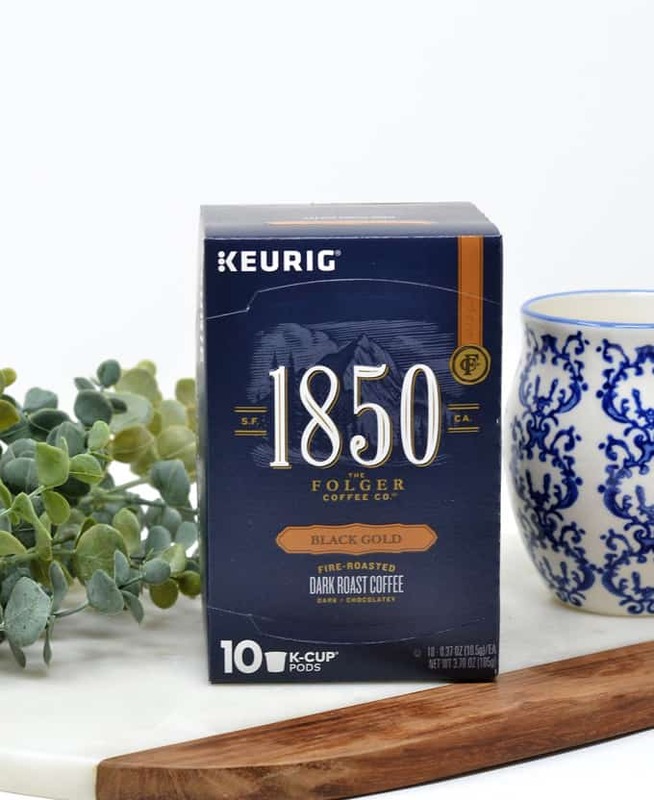 Have you tried 1850™ Brand Coffee coffee yet? I’d love to know your thoughts! 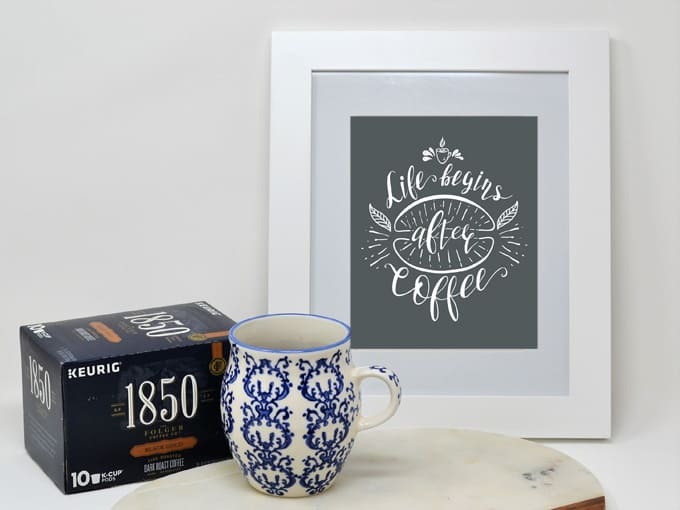 Thanks for reading all about my Free Coffee Decor with Folgers 1850™ Brand Coffee. Have a great day! I have read your full post and I want to say that this is the very nice blog. Thanks for sharing this post with us. Does this print use alot of ink? This print has a colored background, so I’d probably recommend professional printing to save on ink!